Family 木, ツリー. . HD Wallpaper and background images in the アバター ：コラの伝説 club tagged: korra the legend of korra kataang. who's the daughter of zuko ?? do anybody know? what? Zuko has a daughter ? Wish we knew who Toph was married to and who Asami's mom is. Where did you get Kya and Bumi from ? Who's Lin's father! 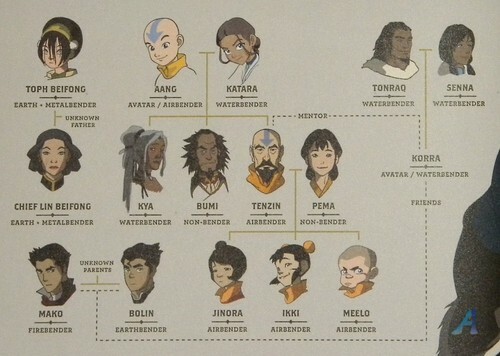 (etc Toph's husband?! )And who'd Zuko marry?!? dont you think that its kinda weird that the name mako is the perfect combination of mai and zuko. you know like from mai it would be ma and from zuko it would be ko which would add up to mako. so i think mako is somewhat related zuko and mai . what do you think?